Hi and welcome to Mukti Lim's Blog! I'm an Indonesian beauty blogger who turn myself into a professional bridal make up artist that is currently living in Jakarta and Bekasi. Fan of art since was very young. Music and painting are the things that I grew up with. Fell in love with make up since high school and photography when was in college. 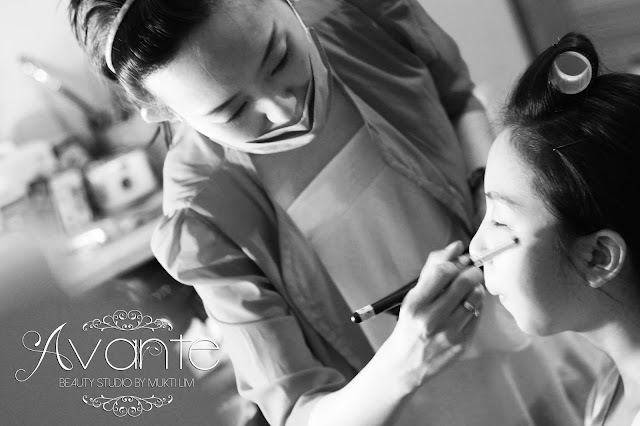 More in love with make up since my wedding day and really hope that someday I could help to beautify other girls out there on their wedding day! And here I am, I left my professional work at private company and am now catching my dream, following my passion to do art for all special girls on their special day!